1 What Is Email Segmentation? 9 How Are You Segmenting Your Lists? It’s time to implement email segmentation more effectively in my business! Regular readers will know that I’m a big advocate of email marketing in general, and GetResponse in particular. For quite a while now improving my current email strategy has been on my “to-do” list. 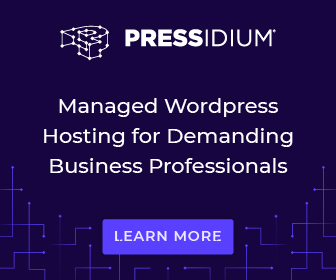 Then recently I read GetResponse’s blog post about implementing email segmentation, and – together with a new requirement in my own business – I realized I wasn’t using their segmentation facilities to anywhere near their best effect. I am referring to email segmentation as targeting these different segments with emails written specifically for that category of a business’s overall list. I had already implemented email segmentation at its most basic by splitting “customers i.e. buyers” onto a different list from “prospects i.e. people who haven’t yet made a purchase from me”. But there are much more advanced ways to implement email segmentation. Read the post for full details of all the different levels. One of the levels is “Behavioral Segmentation”, based on which subscribers clicked a link in an email. When you read the post you will see statistics of markedly improved results experienced by one large retailer when they implemented Behavioral Segmentation: segmenting list subscribers based on where they signed up (in this case online vs in-store signups). The detailed improvement in results was certainly enough to start me wondering how email segmentation could improve my tactics. Here’s the first area I came up with – and I’ll be looking for more. We probably all realize that blogging is a way to reach a large cross-section of readers. I need to provide information relevant to all these groups of people. For anyone interested in my main business, the first stage is that they will register for a free account to learn more – and from then on I want to target them differently to cultivate that interest and help them with the business they expressed interest in. I don’t want to keep distracting them with other topics I write about. If they do not want more information on my main business, they may be interested in other tools or topics that can help them in the business they are already promoting, or have yet to find. So the level of segmentation I have just implemented is whether readers have opened a free account for my main business, or not. When general subscribers open a free account for that main business I switch them to a segmented list that talks them through getting started with it. Instead of “promoting” to them – I now want to “teach”. So I move them away from my promotional emails in the hopes that they will focus on the business exclusively. There’s quite a lot to take on board and it’s easy to “lose” them if they get overwhelmed and they don’t follow a specific sequence. It’s easier for them, and for me, to have a pre-written training sequence I can just “slot team members into”. An added benefit of keeping these instructions in GetResponse emails is that people who join my team are welcome to copy them and send them to anyone THEY introduce. For those people who found out about my business from a chance landing on my blog – without having read much about it previously – I now have targeted training emails I can invite them to, so they can read a structured series on how to get started. GetResponse has some excellent tools that let you choose when emails will arrive into a subscriber’s in-box, to maximize the chance of being read. The emails I was sending to prospective members turned out to have a lot in common with the training emails – because they were going over similar information, but in more depth. However I didn’t have to create a whole new series of emails, because when I click the “Actions” button to the right of the email’s message name I can select “Re-use” from the pull-down menu then just rename the email to create a new version. While I was learning how to implement email segmentation I made a silly mistake and it didn’t work immediately on my test. So I was able to tap into GetResponse’s online support desk and within about ten minutes they spotted the stage I’d missed out, I had fixed my mistake and all was working fine. That beats the frustration of waiting the 24hrs that many other support desks need! The example I’ve quoted for my own business was pretty basic. The blog article that inspired this post gives some far more advanced strategies you can use for list segmentation; there are step by step instructions explaining exactly how to implement it. 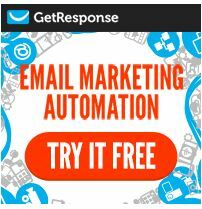 You don’t have to learn about email marketing by trial and error, you can follow GetResponse’s free training guides. Also, within the blog post, you’ll find an eBook that you can download, with no opt-in required, to learn more about how to implement email segmentation. How Are You Segmenting Your Lists? I’d love to hear any creative methods you have used to implement email segmentation in your own business. Please share in the comments below. I haven’t gone into depth with segmenting emails but do have two different lists. One is for B2B clients and the other for a wider audience. I prefer GetResponse because of the excellent choice of templates for sign up forms (especially with their new form wizard) and newsletters. Recently I needed to do something I hadn’t tried before and without their help guides would have been at a loss. No autoresponder I’ve tried is totally intuitive. I’m still getting to grips with what I should have done with segmenting my list, but at least I’ve made a start now. B2B is another excellent idea, because that’s a very different treatment – but to be honest I don’t do much in that market-place so one to come back to another time (for me). I’ve tried more than my fair share of auto-responders in the past, but finally come back full circle to GetResponse and really pleased I did. This is my first visit to your blog I just started my blogging journey so just exploring all of the blogs the blogger behind that. Honestly I have still not started the Email Marketing / List building but Segmentation is what I heard today is somewhat new to me and this seems to be awesome, Say if I expand my blog from how to guide to something else I can segregate the subscribers based on their interest for better targeting. Seems like there’s a lot to read and gain on your blog Joy.. Welcome to my blog – and to the start of your blogging journey. It may seem a long and lonely road, but it isn’t if you listen to the right people. The people who comment on my blog are largely very experienced bloggers and I’m sure you’ll learn a lot from following them. I strongly encourage you to make List Building / Email Marketing your highest priority. The course in my previous post (see comment) is an excellent start. This is an interesting topic. I’ve actually thought about, and looked into a little, segmenting my subscribers but haven’t yet. It seems like a good idea to separate readers based on their interest in certain things to focus the info sent to them. I’m pleased you’re moving towards list segmentation in your business – I think you’ll find it a very well-worthwhile approach when you implement it because of the ability to tailor the messages you send. Yes you are right – teach first. Then you can promote. Actually we automatically stimulate demand for our products/service if we educate our market. And you have demonstrated the technique perfectly on this blog post – others please take note! 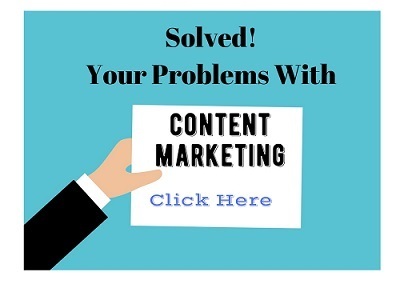 If your readers are not yet collecting leads they need to do it, like yesterday. And of course integral to the strategy must be the autoresponder system. 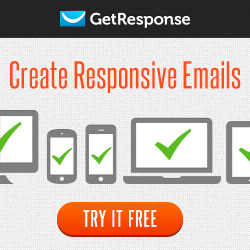 Get Response is a market leader and will serve your readers very well. Your discussion about segmentation is spot on and timely. It’s important to match our marketing messages with the needs and interests of our subscribers – so segmentation is the way to ensure our emails are always relevant. I’m pleased you agree I’m on the right track. The biggest mistake I made in online business was not having an email list, and I really encourage anyone who joins my team to follow my lead and build at least two lists – one of buyers and the other of potential buyers. Imagine if the two lists were combined, and then you offered a substantial product discount – the previous buyers would be very unhappy, but having them segmented out gives you the chance to put a different approach to your next email. Hello Joy, I am new to get response and have been going through all of thier training material and such. I have also used their chat feature, These People are on it to! 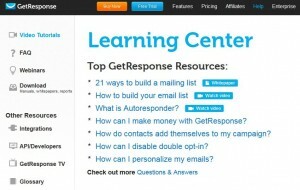 I am very impressed with everything about Getresponse and cannot wait to start segmenting my lists. It was only when I changed away from GetResponse, and then back to it, that I truly appreciated what I was missing by not having it. So I changed back! I wasn’t using half the features, and probably still aren’t doing so, but the GetResponse blog is a great source of inspiration to expand your knowledge. I think email segmentation has never been more important as our subscribers are being bombarded with more email marketing campaigns than ever before. It’s very important that the messages we deliver are targeted, and considering the fact that such a high percentage of my revenue comes from email subscribers, time taken to deliver targeted campaigns is well worth it. GetResponse makes this all incredibly easy so if anyone reading this is on the fence, don’t hesitate. If you’re not breaking down your list into targeted segments, you’re making a huge mistake. Sounds like you’ve got this down Joy, looking forward to hearing about improvements in results that will come from these changes. I know of many people who, like you, earn well from email marketing. 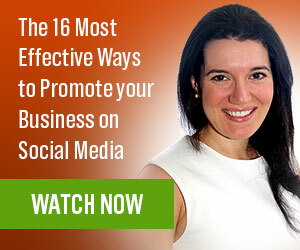 Certainly more of my income comes from email marketing than from social media, for instance, and I know I still have much more to improve in my technique (with the aid of your course). I think 2015 was the year when I got my blogging more or less under control, 2016 I want to work harder on improving my email marketing. Hi Joy. Nice post. But i have a question for you. What email division methodologies do a portion of the greater Internet retailers use? Which of them have the most basic or advanced email promoting practices? Thanks for your information and encouraging post. I am one of those who have been shying away from building an email list. I’ll be onto it soon, and will definitely visit your blog for tips, advice, etc. Looking forward to more content such as this. NOT building an email list was my biggest mistake online. And my conviction has only grown stronger since writing it! Often necessity is the mother of invention, and it was my perceived need to implement segmentation that drove me to look further into it. Well, Joy, it’s certainly not a good idea to “batch and blast” unless you have a really simple business model, like add people to your list and send them all the same emails all the time. For the most part, you’ll have different levels of subscribers. This usually starts with separating, as you have shown, buyers from free subscribers. You don’t want to keep “selling” things to people via your email messages, that they’ve already purchased. Segmentation can get a little tricky. GetResponse has a great system for this, plus they take your calls toll free all day long. They’re very helpful. The information you’ve given us here is a great starting point, and is probably sufficient for most peoples’ needs. I guess most of use started out as “batch and blast” but then refined our processes – probably as a result of having been emailed for something we’ve already bought and realizing how unprofessional that looks. Yes, I’m really pleased with GetResponse’s facilities and support. I know there are more clever things I can do with it, but perhaps I’ll refine as time goes by. I must say that you have compiled best info here in this article. It would be helpful to people like me who are looking on how to implement email segmentation. Actually I came here from Aha now and I use to read your comments there and today I checked out your blog and found really interesting. I must spend more time on Aha Now – it’s a great site. I’m pleased you found my article helpful, and glad to see you on my blog. Email segmentation is important, and the sooner people incorporate it into their mailing strategy, the better. I have been a blogger since 2012 and have done so many things for traffic and some were successful, some not. Today when I read this post, believe me I was shocked at how much traffic we can get from email marketing. Your review of Getresponse is awesome. It’s a tool so many great leaders like Neil Patel found very useful, and some other people. Sure I will go for use this also..
Hope it will be a profitable idea for me ! Yes, there’s a bit of a myth that email marketing is dead, but if that were the case I wouldn’t be seeing regular updates from large companies that I do conventional business with. Please tell me which email marketing service is best regarding email delivery.Also please tell me which company should I use as I have 50K subscribers. Personally I recommend GetResponse. As you have 50k subscribers you will no doubt want to compare the costs of your current service with those offered by GetResponse for the same number of subscribers. Moving a list of 50k subscribers isn’t something to be undertaken lightly. This is my first time on your blog but I really like the way you describe how email marketing is important to us. Really it is a big myth that email marketing doesn’t work they are dead. You proved them wrong. I am very glad to see this article and gonna work on it hope it will work for me. Now I better knew that how much traffic we would get from email marketing. Thanx for sharing this article personally I find it very helpful. Hi Sachin, Glad you found it helpful.